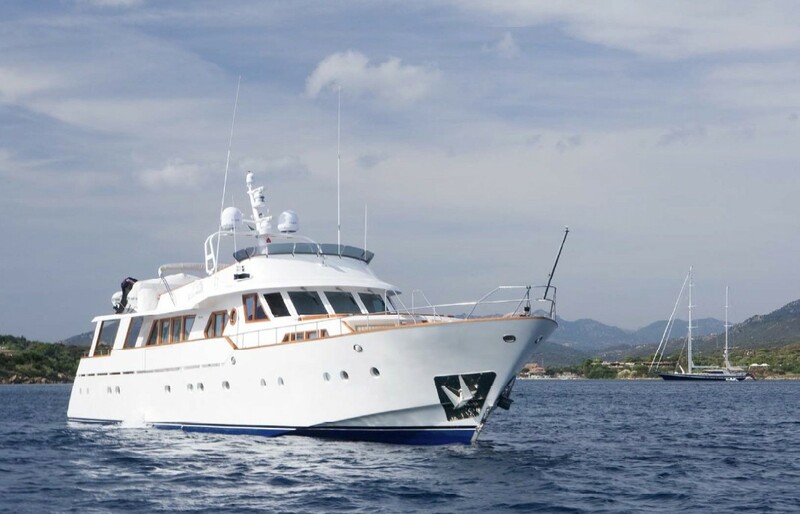 Luxury motor yacht LIBERTUS (Ex Pokrov) was launched by the renowned Italian shipyard Benetti in 1975 and refitted in 2015. 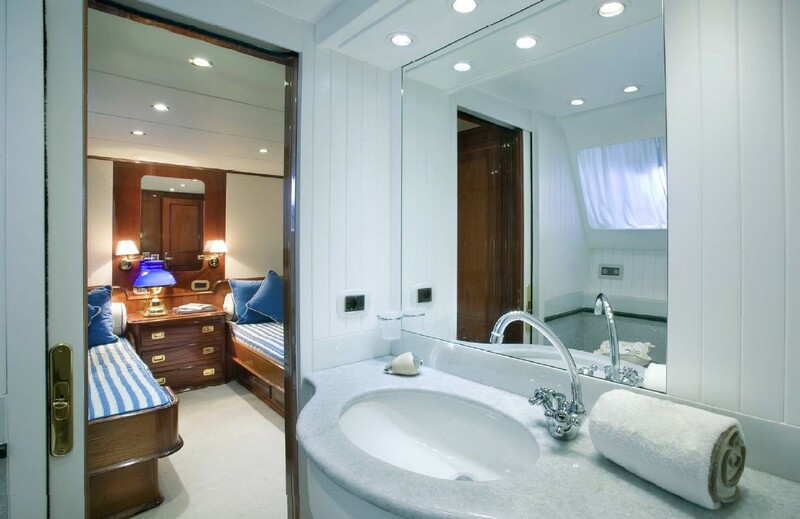 M/Y LIBERTUS has a timeless elegant décor and offers sumptuous accommodation, for up to 10-12 charter guests. 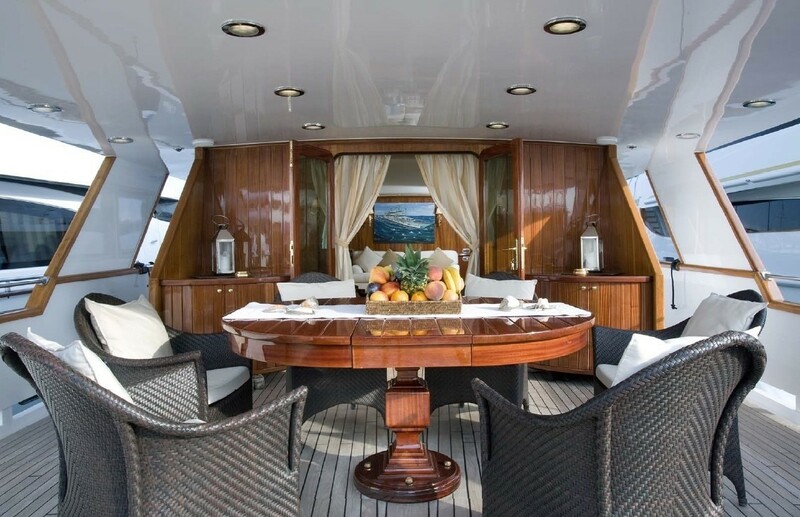 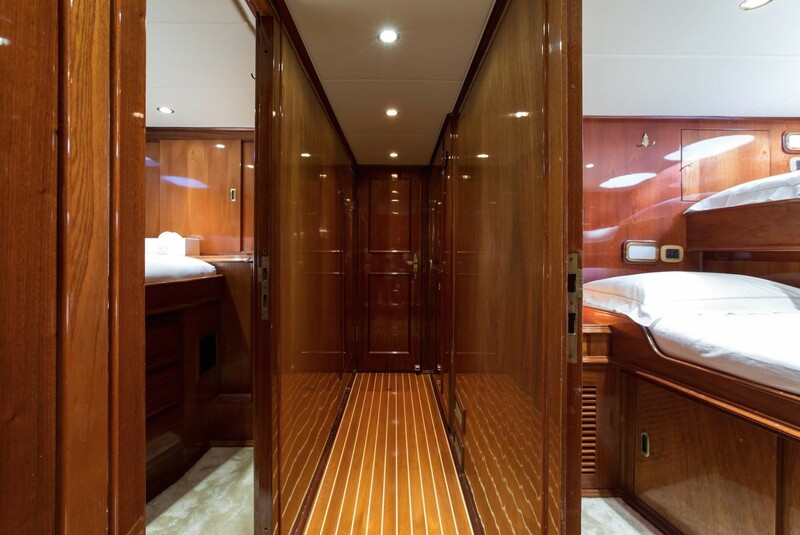 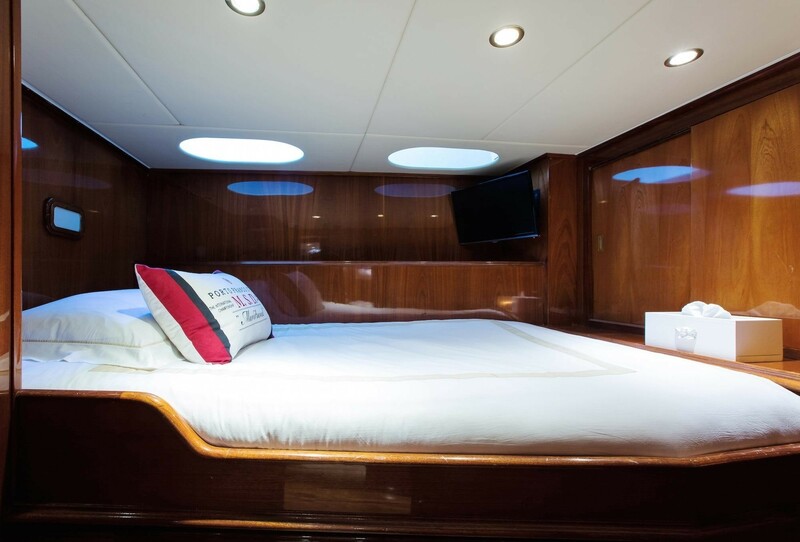 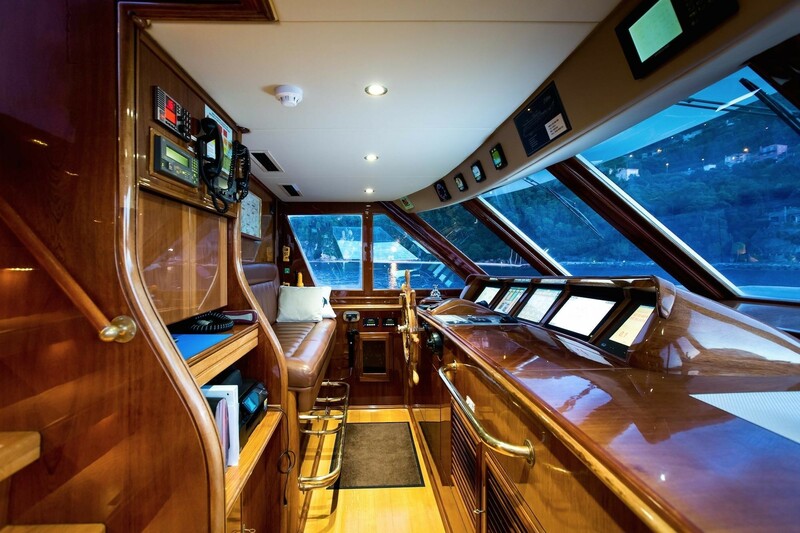 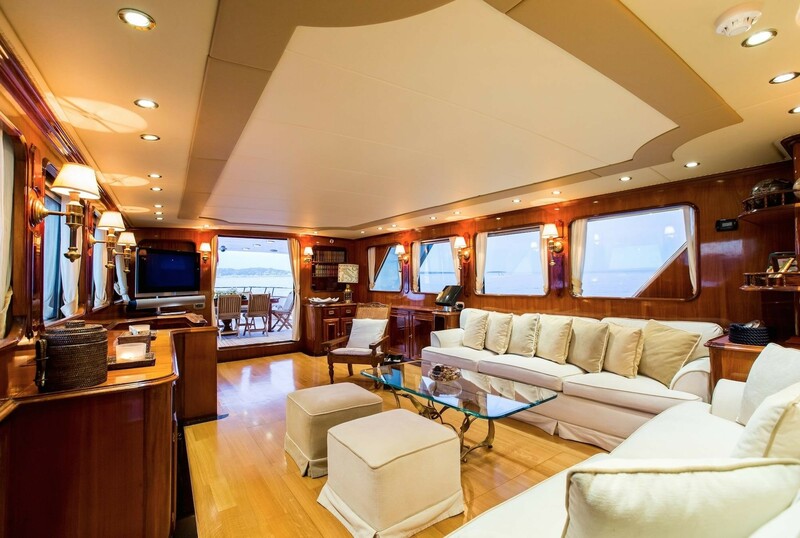 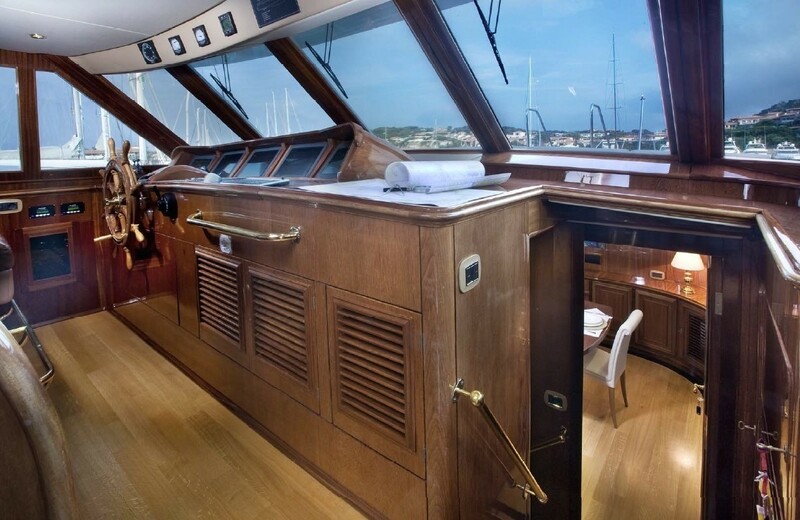 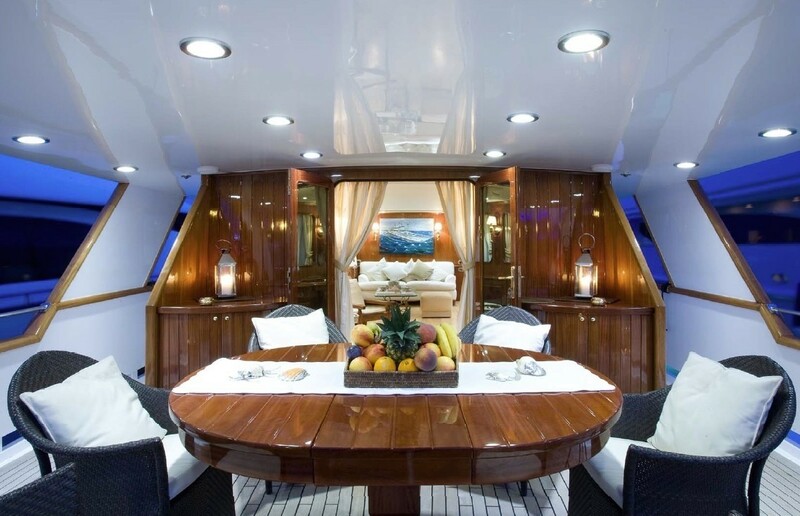 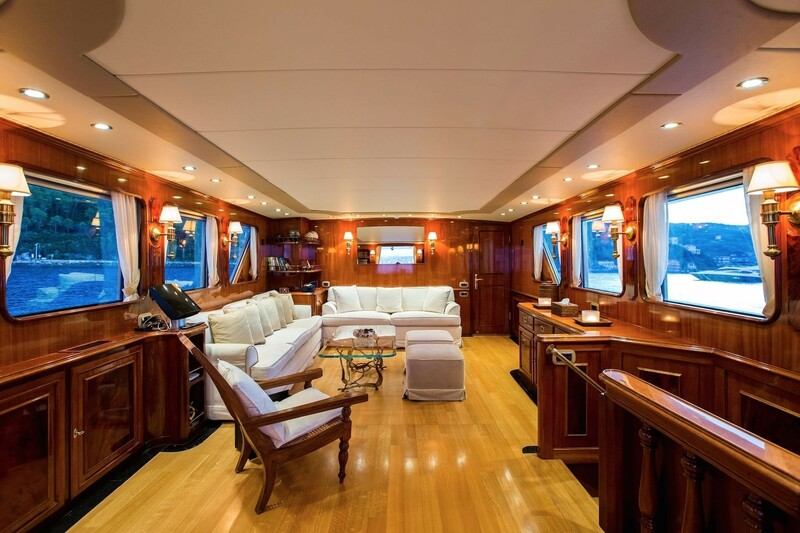 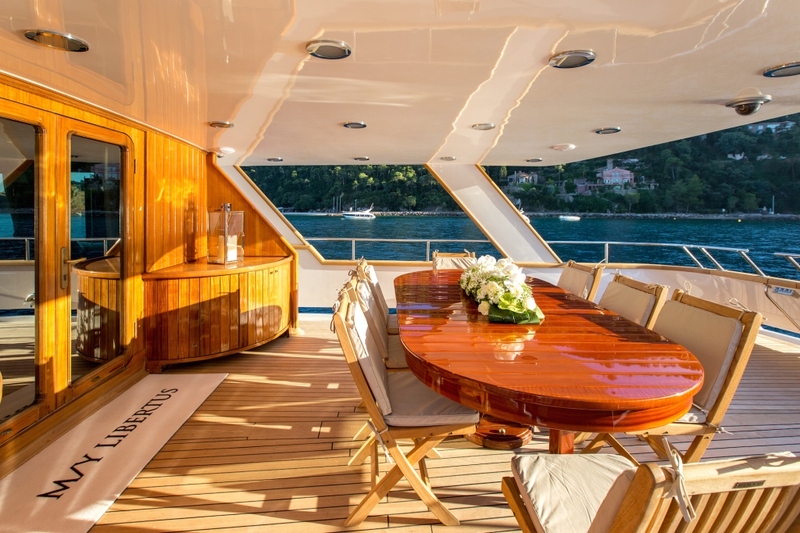 Crewed charter yacht LIBERTUS has a contemporary ambiance throughout her interiors. 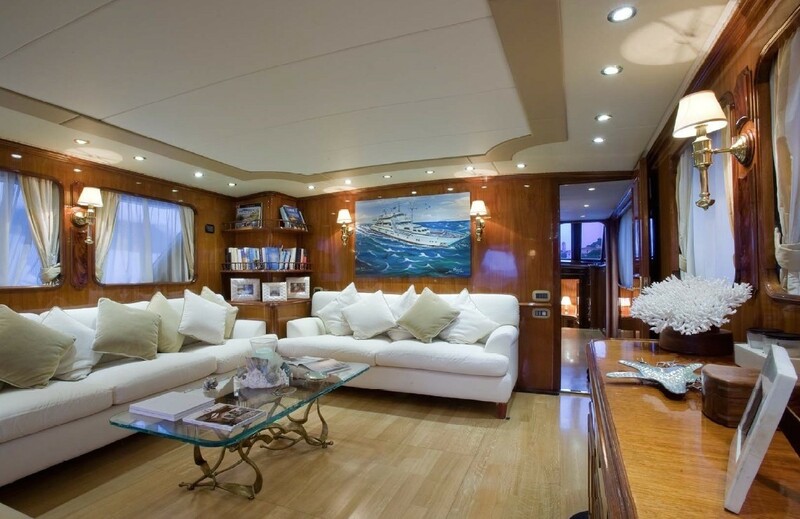 Warm wood panels, light wood floors, neutral soft furnishings and supple carpets, create a relaxed and fresh atmosphere. 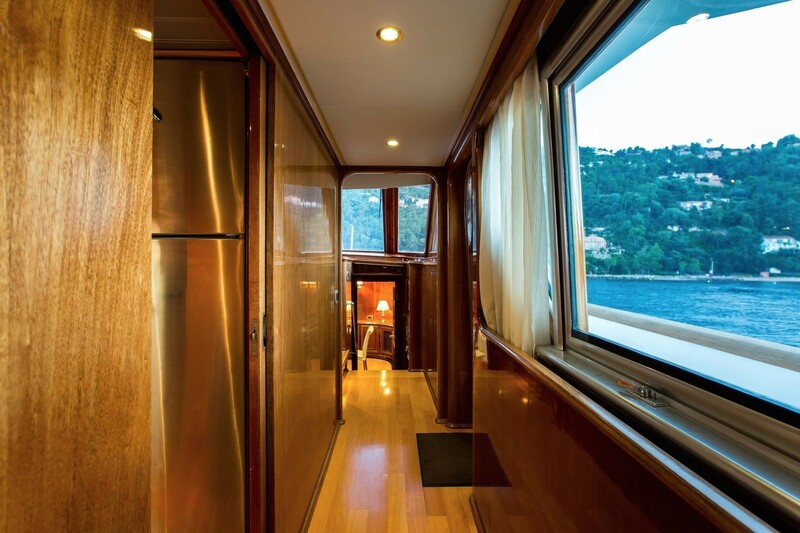 The salon is surrounded by panoramic windows infusing the space with ample natural light. 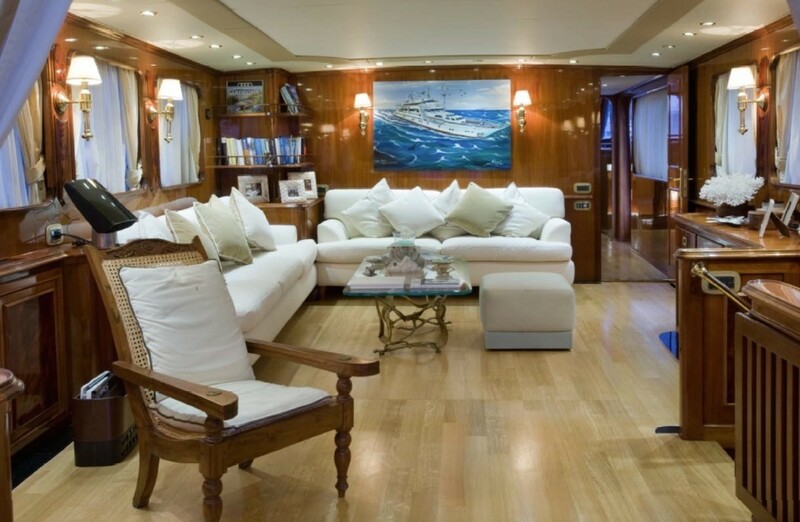 Two plush white sofas, occasional chairs, coffee table and entertainment center offer a fabulous social area. 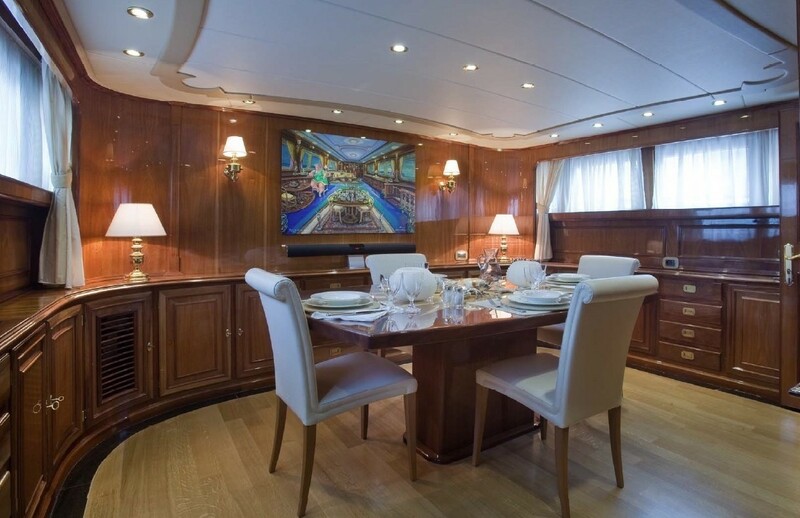 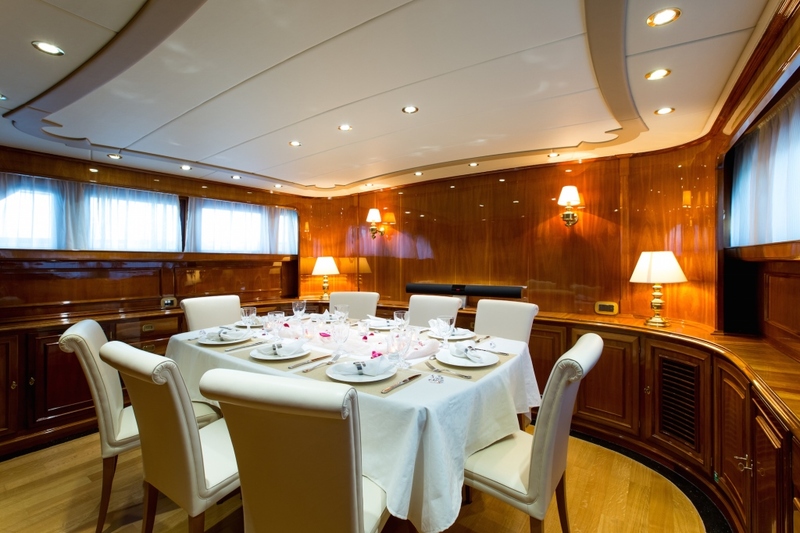 Forward of the salon and below decks is a private formal dining area, comfortably seating 8 guests. 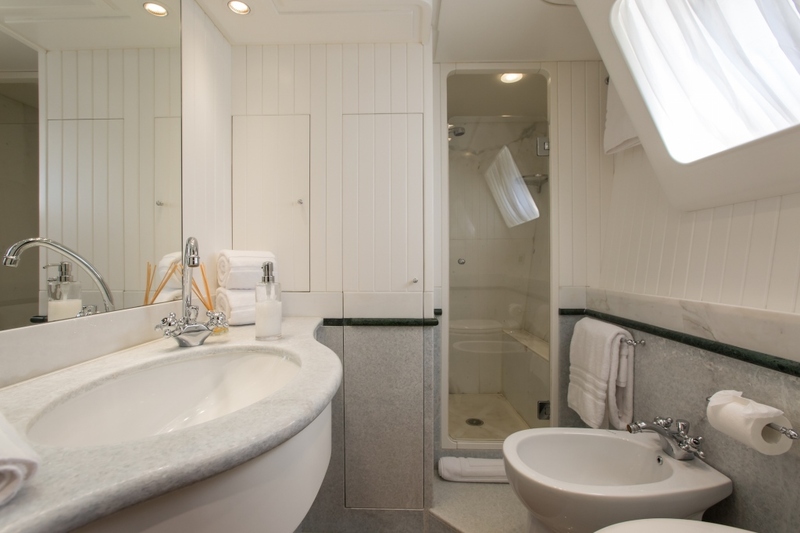 Guest accommodation is in 5 spacious cabins on the lower deck, 1 master cabin, 1 VIP cabin, 2 twin cabins and a single cabin. 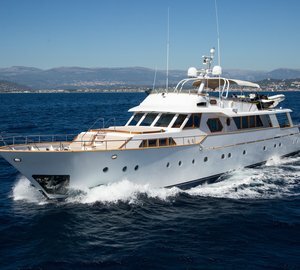 Yacht LIBERTUS is fully air conditioned throughout. 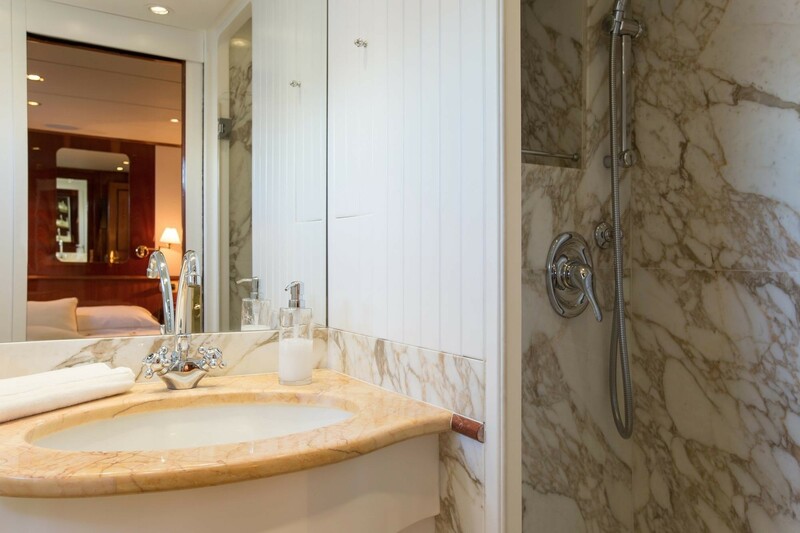 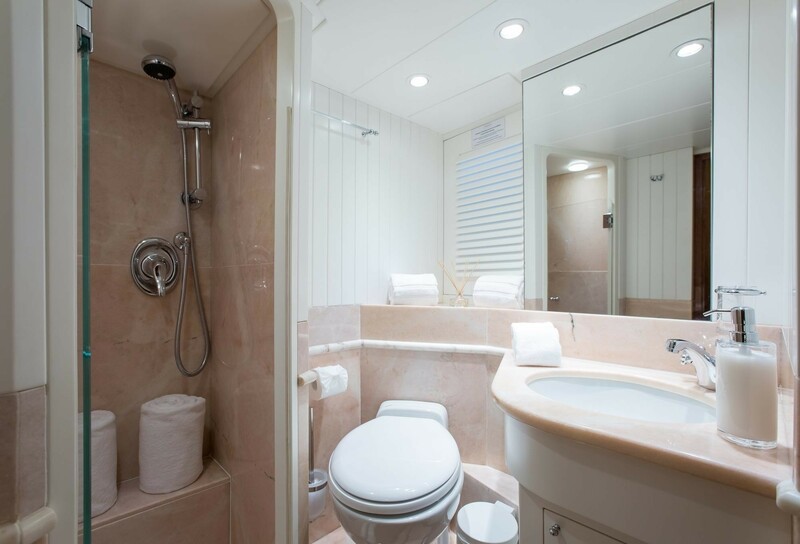 M/Y LIBERTUS has good exterior living, ideal for optimum relaxation. 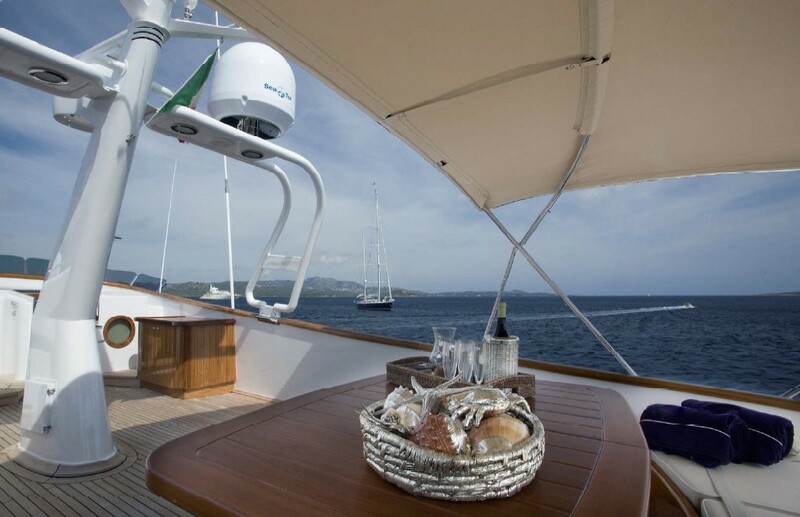 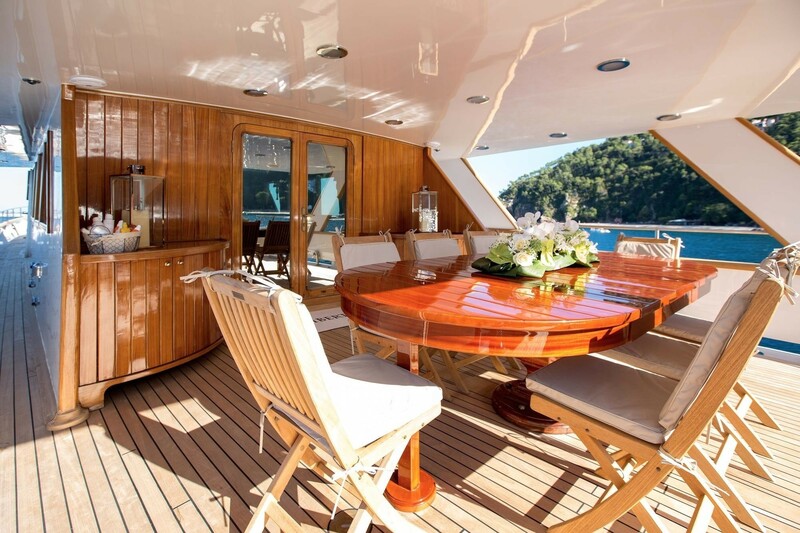 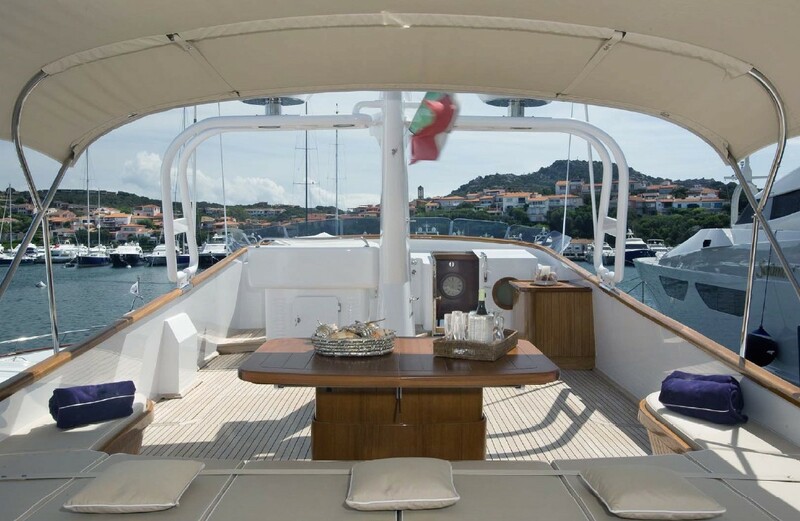 The main deck features an alfresco dining table and overhead shade aft, with direct access to the salon. 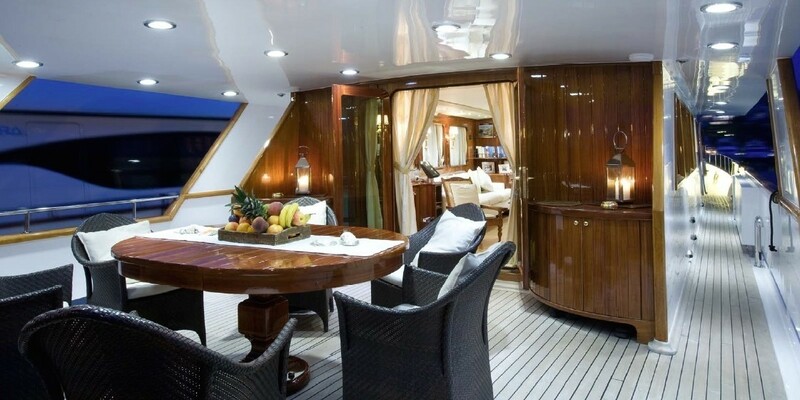 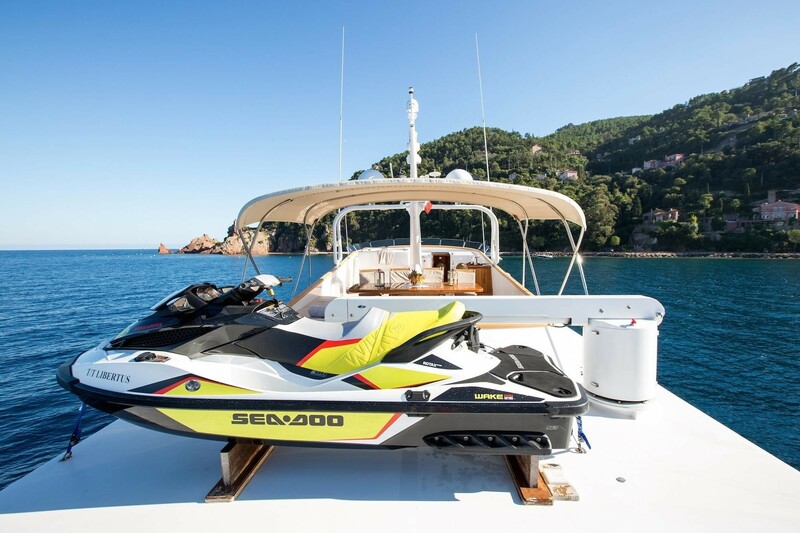 Further aft is the full beam swim platform, where guests will find making use of the water toys effortless. 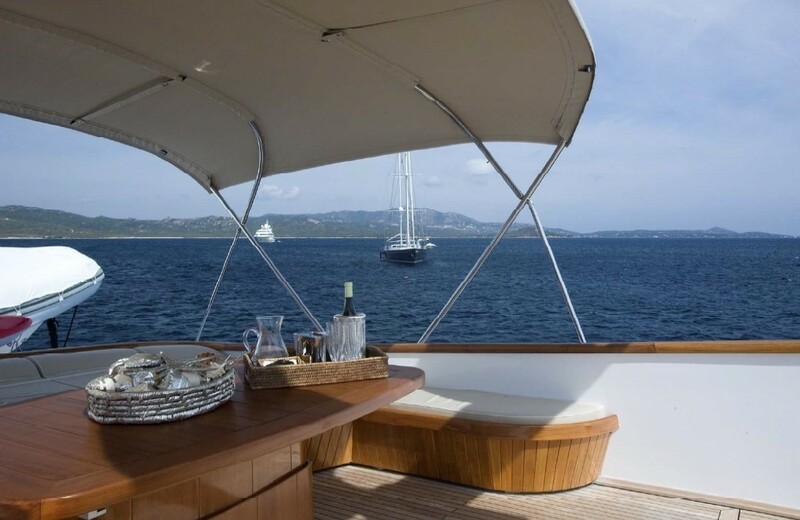 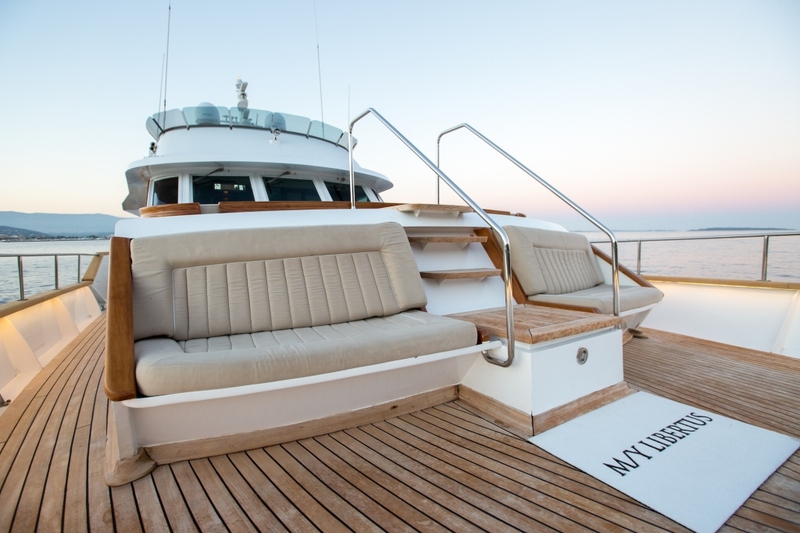 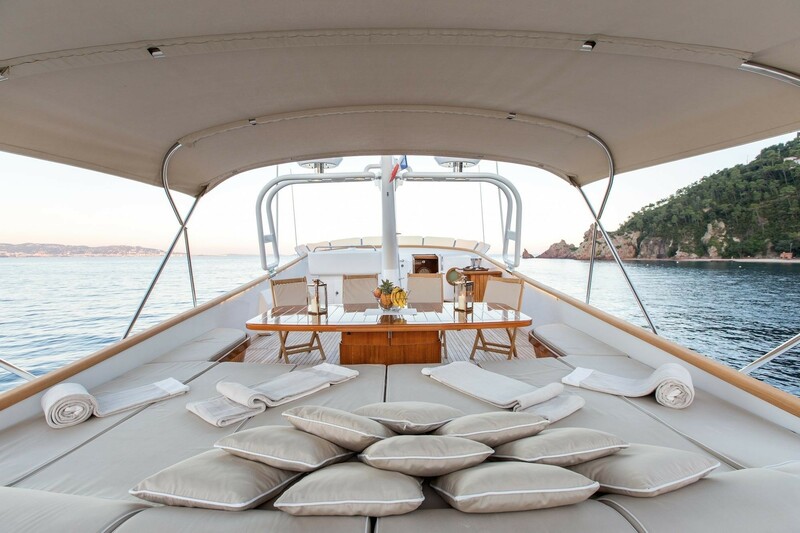 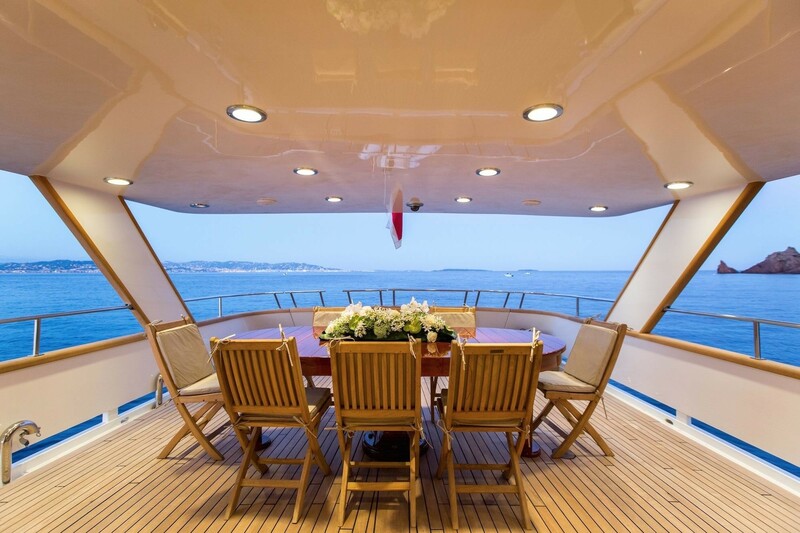 The 360° wrap around main deck leads forward, to an intimate seating area. 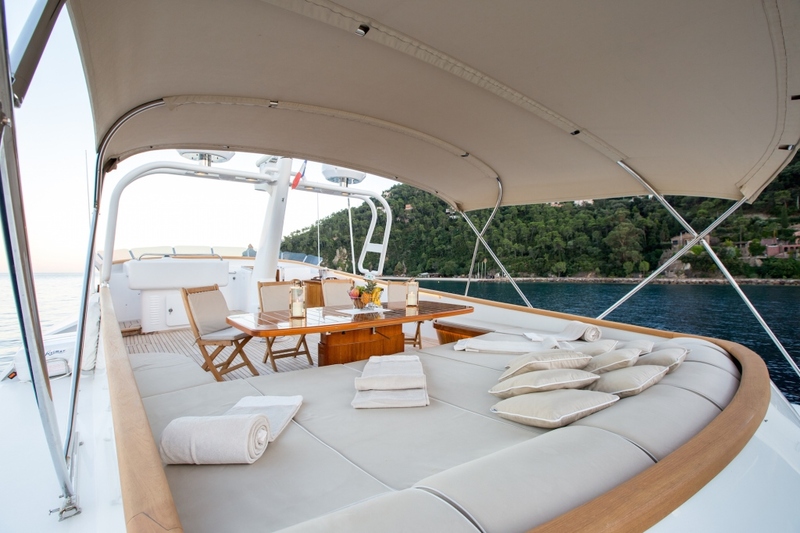 An upper deck offers a further alfresco dining option, seating, partial Bimini shade and sunpads. 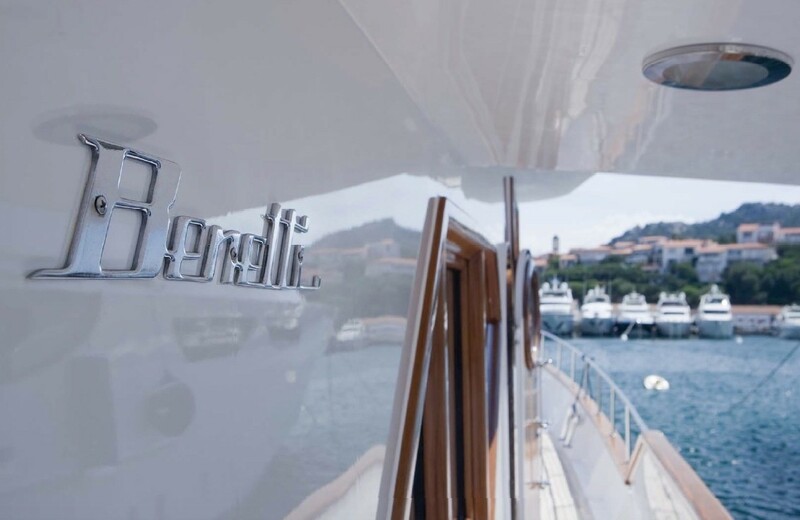 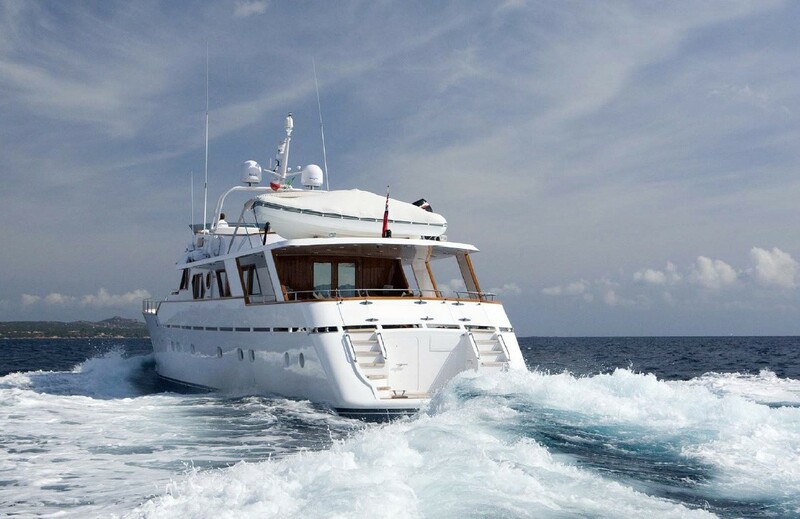 Powered by 2 x Detroit 650hp engines, the Classic Benetti motor yacht LIBERTUS, is capable of 13 – 16 knots. 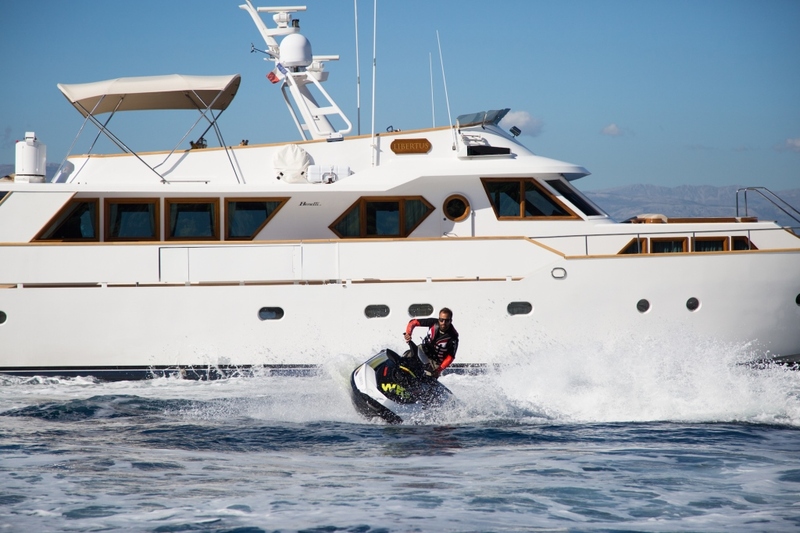 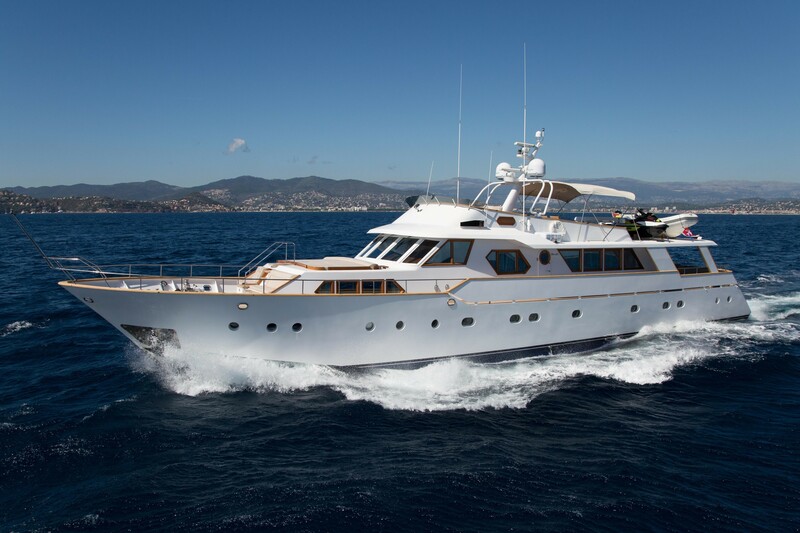 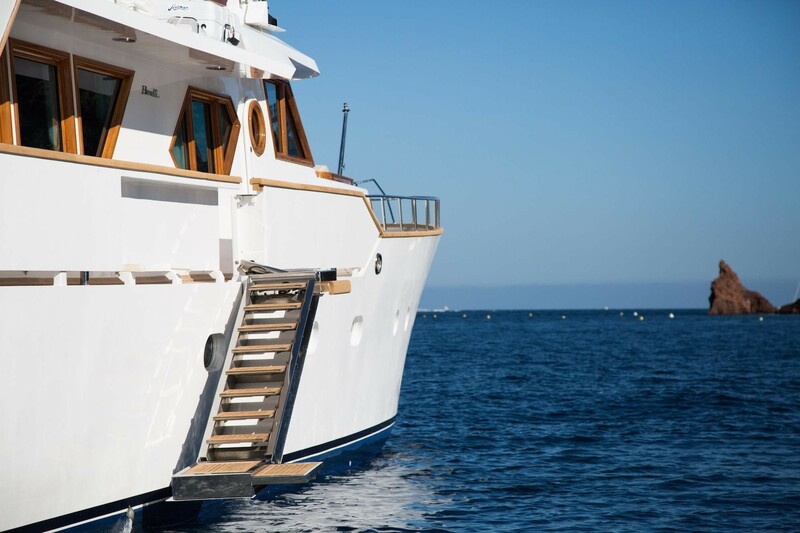 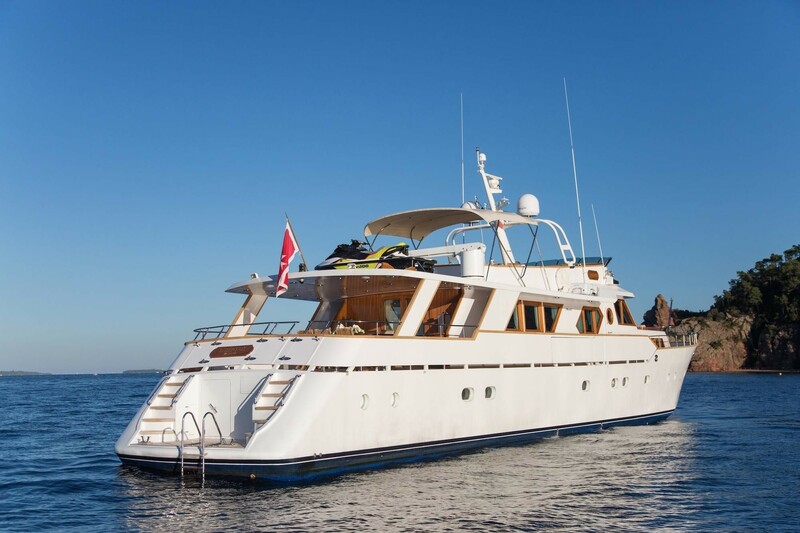 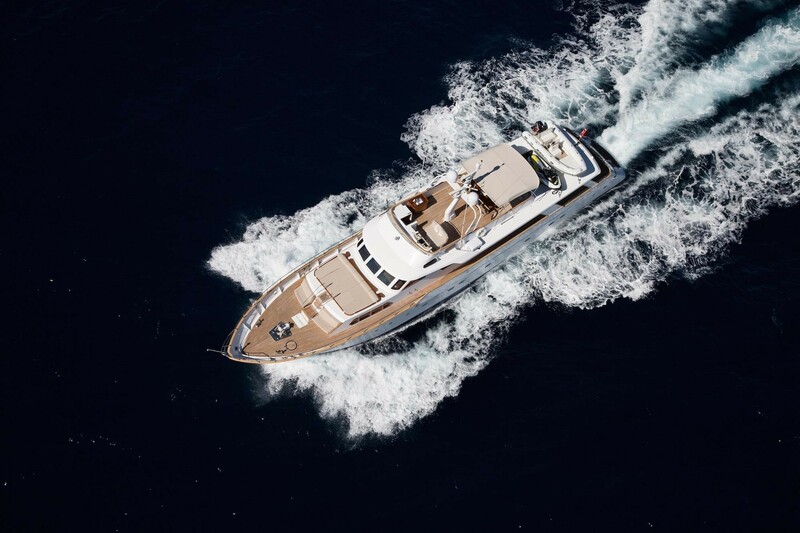 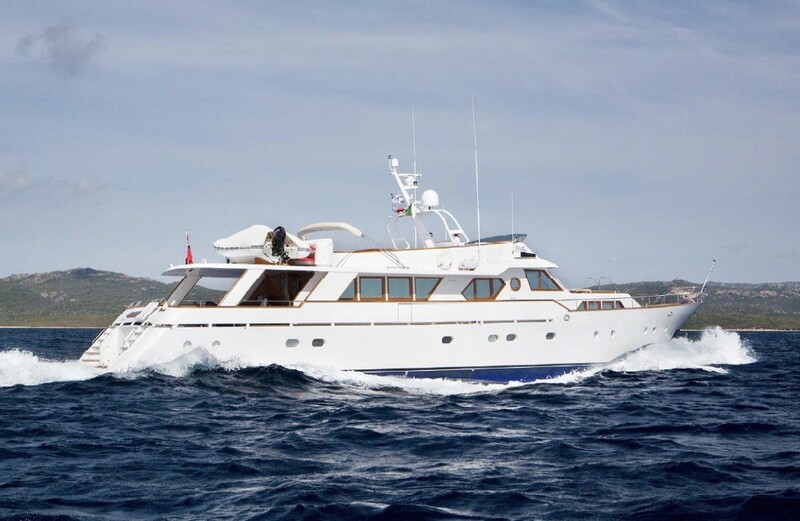 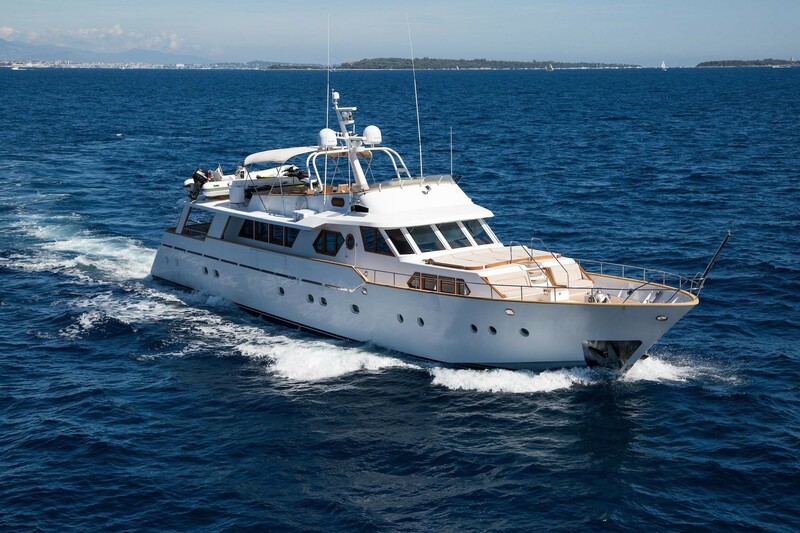 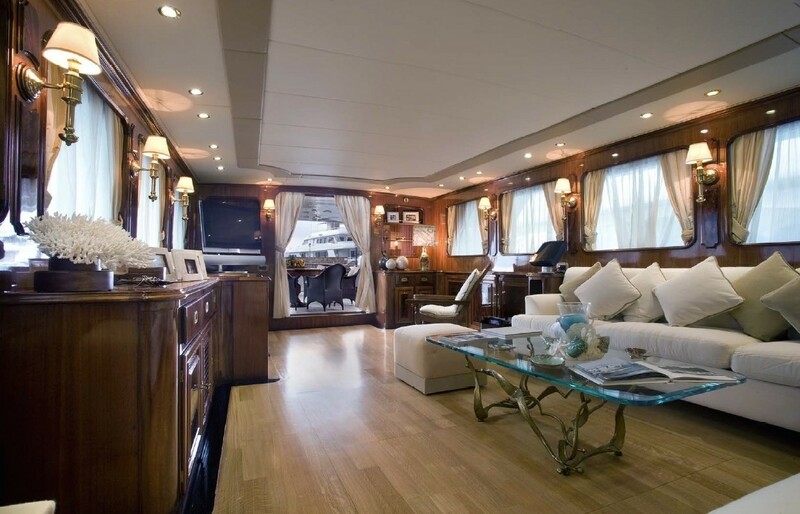 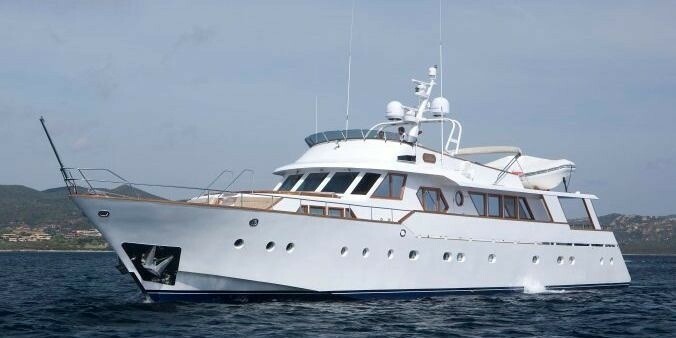 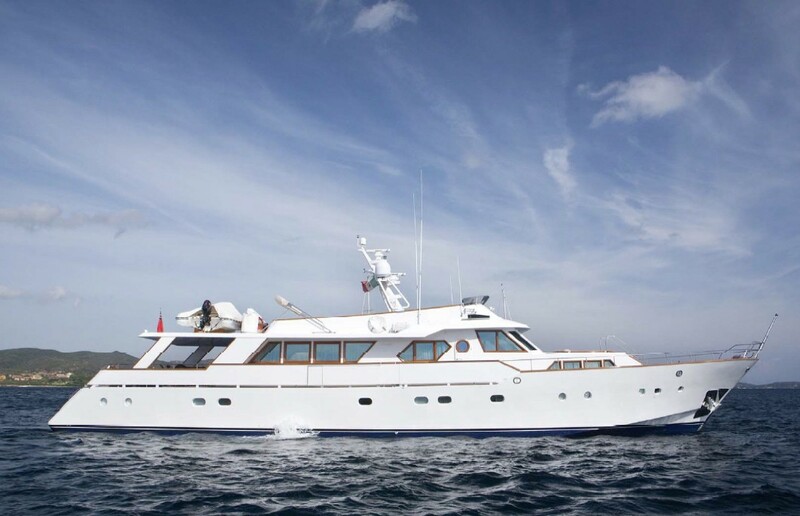 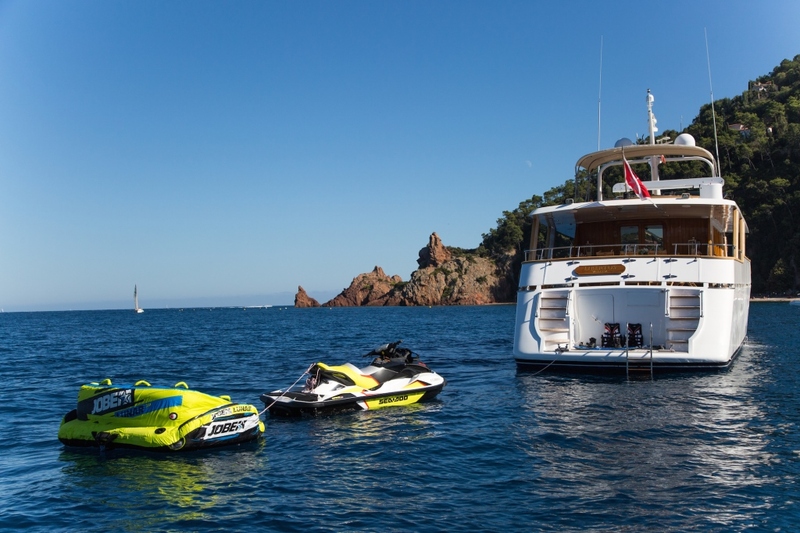 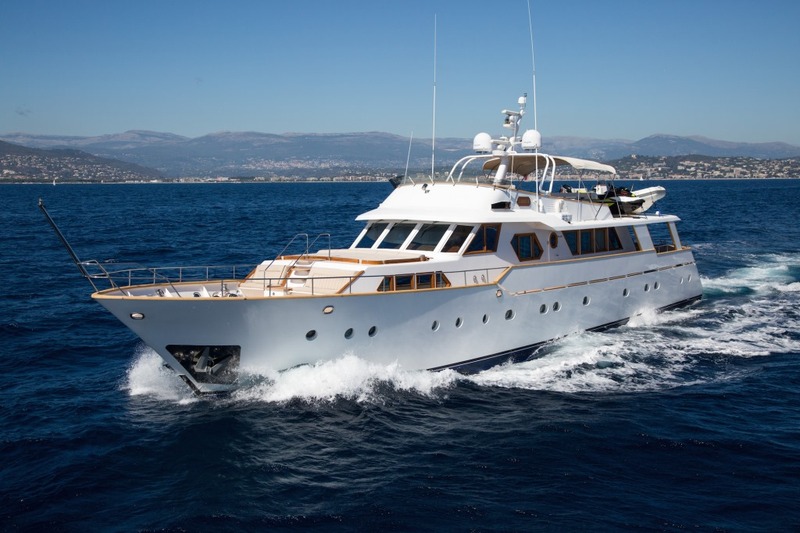 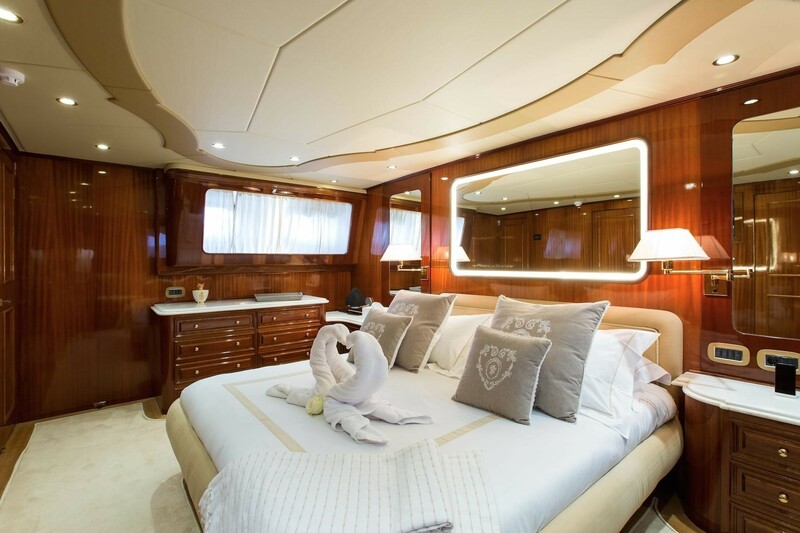 LIBERTUS motor yacht luxuriously accommodates up to 10-12 guests, in 5 cabins. 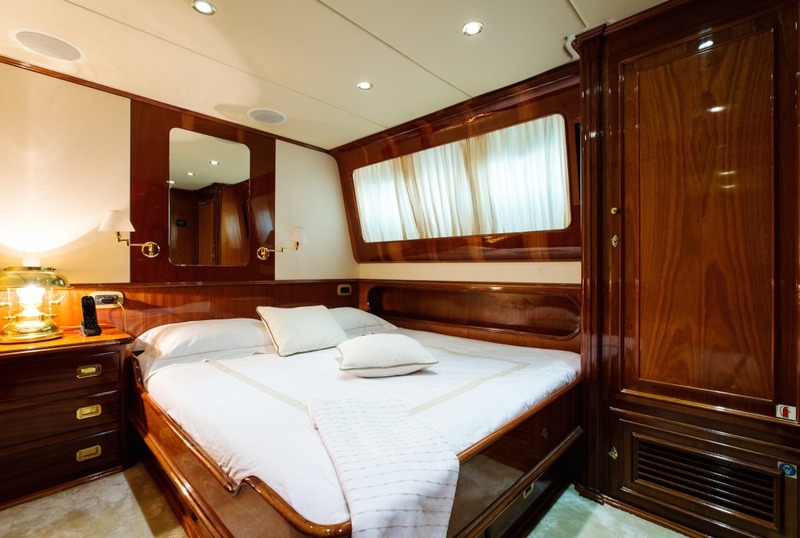 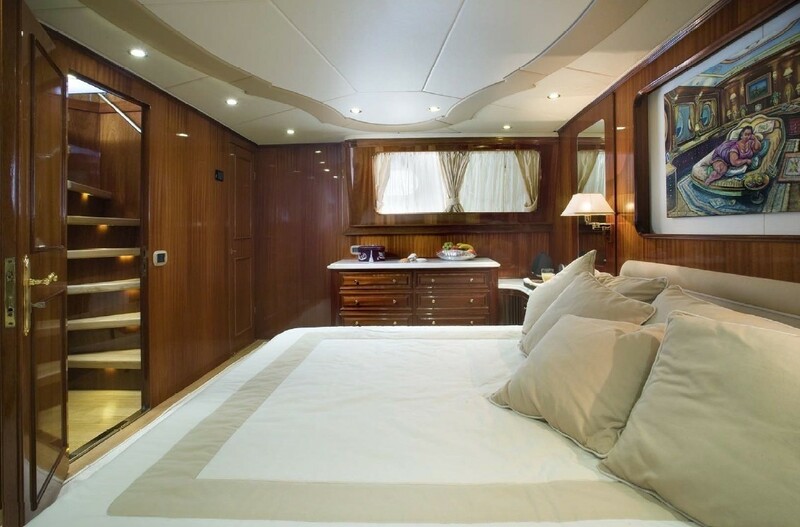 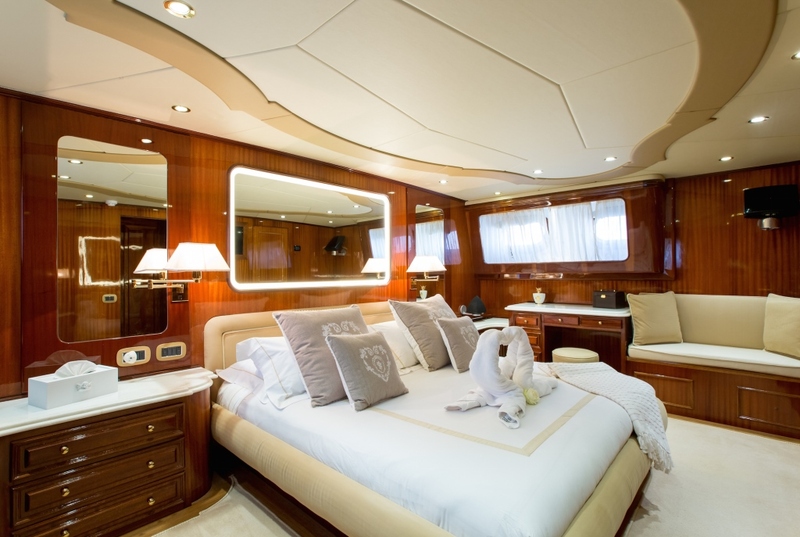 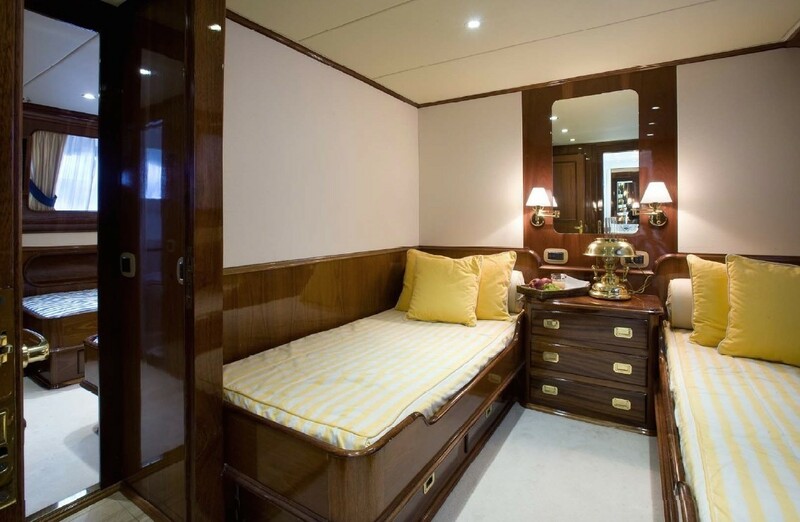 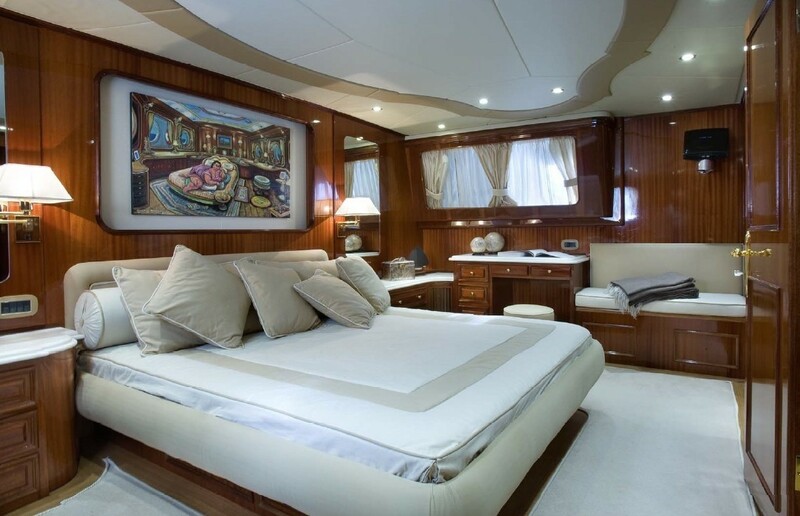 The master stateroom is full beam of the yacht offering a center lined queen size bed and sofa. 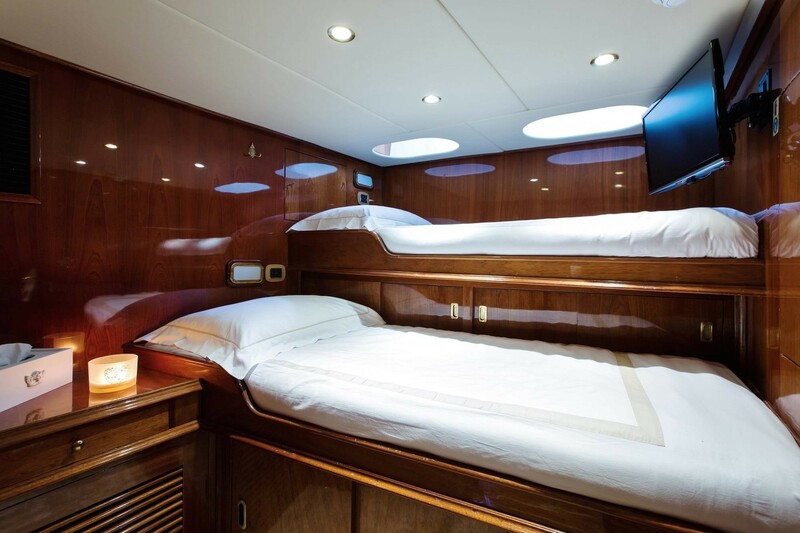 A VIP cabin offers a queen size bed. 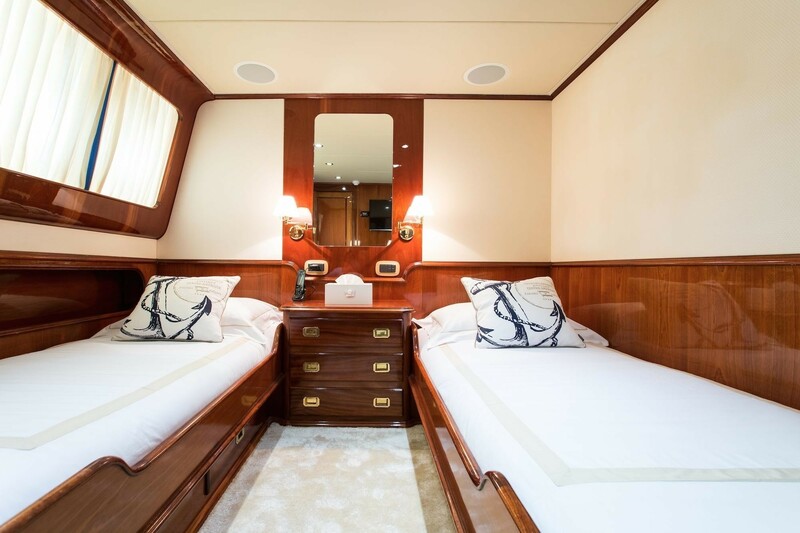 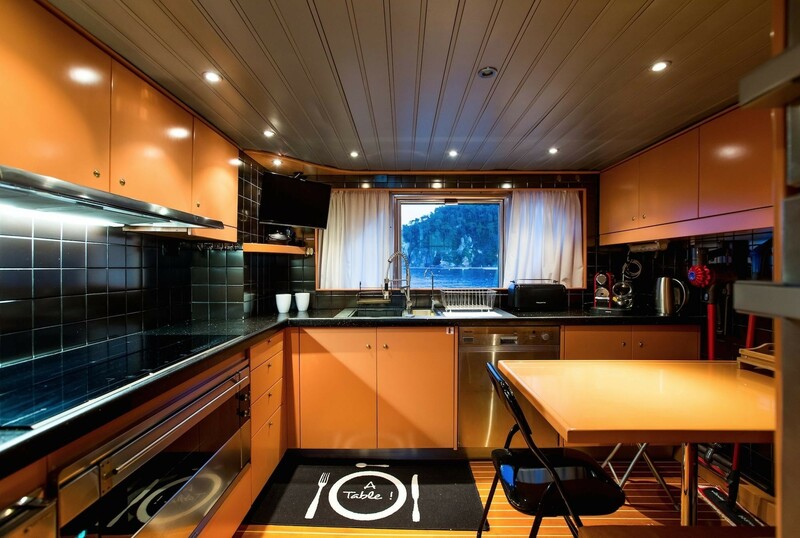 Two guest cabins each have twin side by side beds and a further cabin features a single bed. 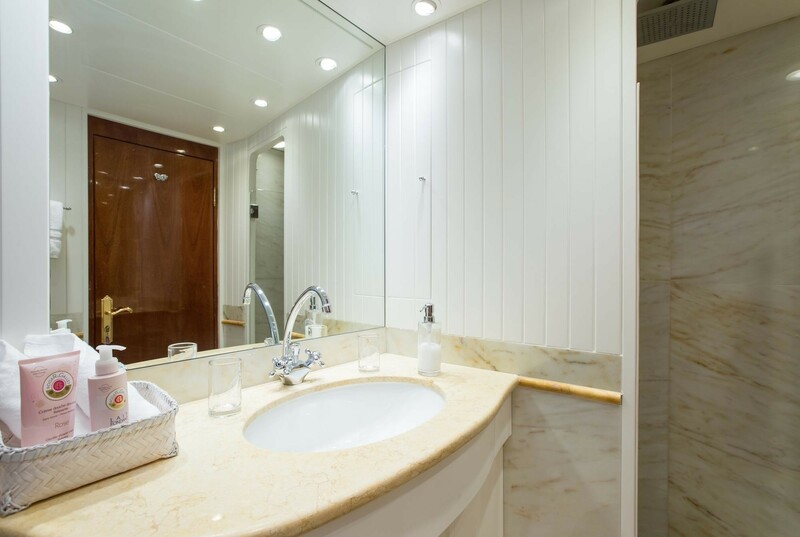 All guest cabins boasts full TV entertainment systems and a serene ambiance, perfect for unwinding at the end of the day.